For sustainability over time, it is essential to look at the water cycle in its entirety, including all uses and users. 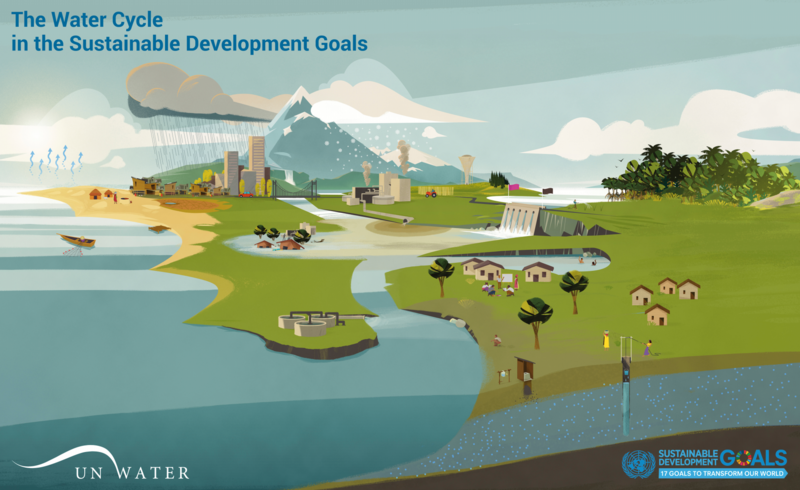 Building on the traditional representation, this illustration shows how the targets within SDG 6 cover the whole holistic water cycle in an integrated manner. 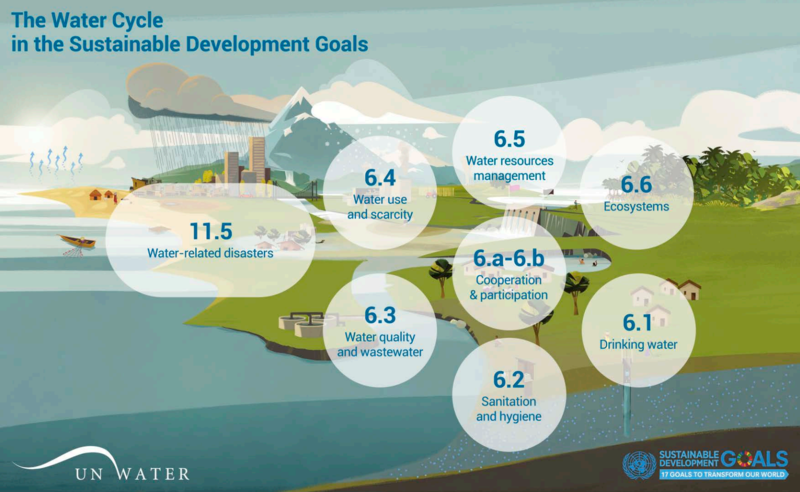 The goal has eight targets that relate to 6.1) safe drinking water, 6.2) adequate sanitation and hygiene, 6.3) water quality and wastewater, 6.4) water use and scarcity, 6.5) water resources management and 6.6) ecosystems, 6a) international cooperation and 6b) stakeholder participation. Target 11.5 on water-related disasters (under SDG 11 on sustainable cities and communities) provides a powerful example of the many water- and sanitation-related linkages across all of the SDGs. Sustainable Development Goal 6 – Ensure availability and sustainable management of water and sanitation for all – brings together all the main aspects related to freshwater. Building on lessons learnt from the MDG period where the focus lay on drinking water and basic sanitation, this is a first step towards addressing sector and regional fragmentation.